An electric wheelchair can provide a transformative boost to independence but often requires a substantial investment. Here are ten examples that are efficient, practical and good value for money. The Roma Power Pack comes with a couple of caveats but it is substantially cheaper than investing in a new wheelchair. 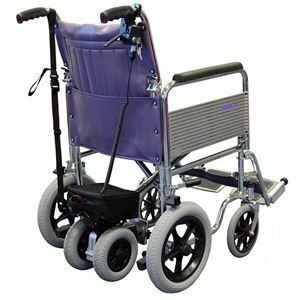 The detachable pack can be fitted to a normal wheelchair, and adds a pair of wheels for traction and a small battery pack. 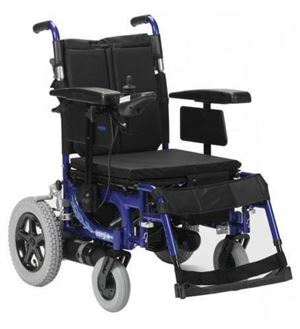 Crucially it cannot be operated by the person in the wheelchair, but the electric assistance will take a great deal of strain from the person usually required to push. 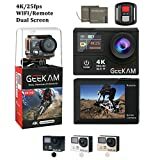 Variable speed and reverse mode are also included and the battery pack can be removed for charging. 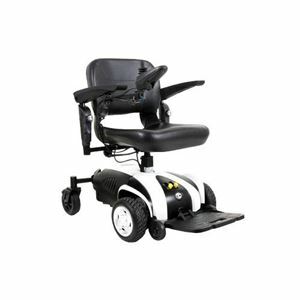 One of the least expensive fully-electric wheelchairs currently on the market, the Cirrus is designed for indoor and occasional outdoor use; the maximum speed of 4mph is better suited to duties closer to home. Comfort and security for the user is covered by a seat belt and swing-away footrests with calf straps, while the programmable controller has an adjustable-length joystick too. At 65kg it is not lightweight, but the battery pack can be removed so it can be folded and stored. An indoor-specific electric wheelchair, the Van Os Travelux Venture can be specified with a captain or ‘fish-on’ seat depending on the user’s preference, but in either case the seat has both a swivel function and an electric high/low function to make entry and exit as easy as possible. 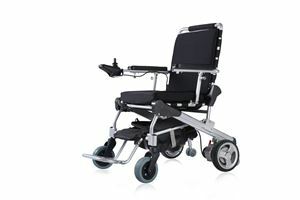 With the large drive wheels directly beneath the seat and smaller castors at the rear the Travelux Venture has both good stability and easy manoeuvrability, and there is adjustment in the armrests, footrests and the joystick control, which should ensure comfort for all occupants. 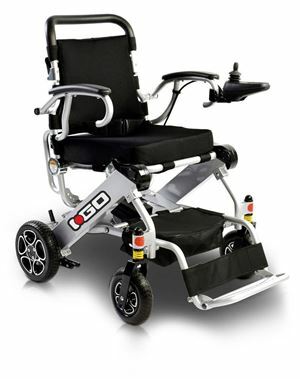 This i-Go chair is designed to be as lightweight and compact as possible, checking in at under 23kg even with its twin batteries on board. Despite this it can still take a maximum load of 120kg (18st 8lb) and promises good user comfort too, aided by a front suspension system designed to absorb surface bumps. 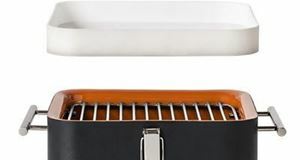 There’s also a secure storage compartment for you valuables and when folded the i-Go is compact enough to be wheeled along like a suitcase. A mid-priced offering from Enigma, the Energi Plus is best suited to indoor use or limited outdoor operation with a top speed of 4mph and a maximum range of 15 miles on a single charge. 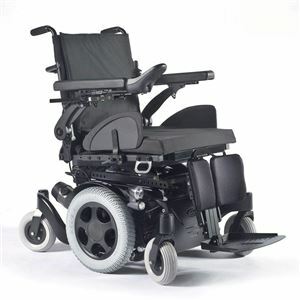 Operation is by the well-reputed PG Drives controller and getting comfortable should be straightforward with swing-out footrests, one-touch adjustable armrests and adjustable tension on the backrest complete with cushion. Kerb climbing and elevated leg rests can also be added as an optional extra. 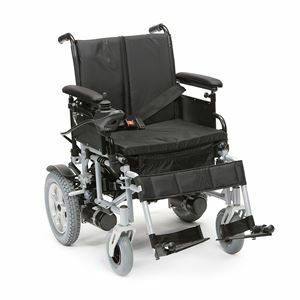 Billed as a lightweight power chair designed to ease the burden of shorter trips and indoor operation, the Vienna has a usefully slimmed-down design that helps to keep the overall weight to 49kg with batteries and seat included. Offering 10 miles of range and a top speed of 4mph, the Vienna’s seat and battery pack can be detached for easier storage whilst its manoeuvrability means it can comfortably turn within its own length. 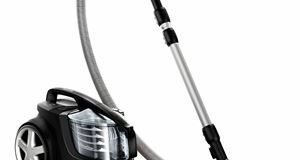 The higher price of this PW-800AX buys you a useful increase in sophistication and perhaps more crucially, lightweight components. 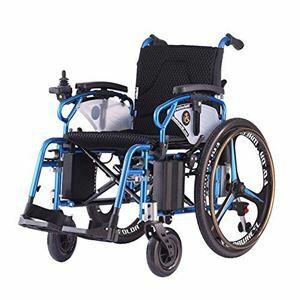 Built on an alloy frame and fitted with lightweight lithium-ion batteries and magnesium wheels, it is light enough to be used as a manual wheelchair - weighing just over 32kg without the batteries installed. Available in four seat widths it also folds down to under 85cm square which should mean it can fit comfortably in the boot of a car. One of the more expensive options in this list, the higher price of the e-Throne means access to better technology, hence its lower overall weight and improved battery tech. The slimmed-down frame keeps the overall weight under 30kg, while the branded LiFePO4 battery is not only lighter but also provides a longer life. 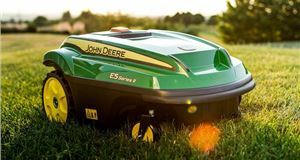 The brushless motor design means lower battery consumption and weight too, while there is a choice of three wheel sizes too. 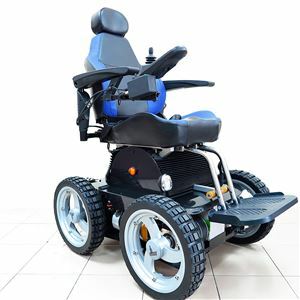 The Salsa-M2 is a highly-specified electric wheelchair designed to deal with a wide variety of uses, and uses mid-wheel-drive to give excellent traction and the ability to rotate on the spot. Each of the six wheels is independently suspended for a smooth ride and stability, while there is a switchable top speed of 4mph or 6mph to give longer battery life. 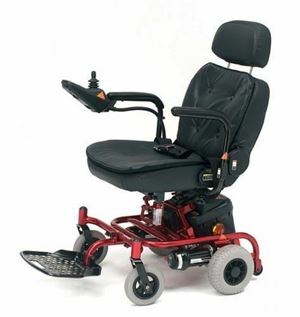 It also features a 30cm seat lift, a seat tilt of up to 30 degrees and the ability to climb kerbs up to 7cm in height. If ultimate freedom is the requirement of your wheelchair then the Wheelchair88 PW-4X4Q is an impressively capable machine. 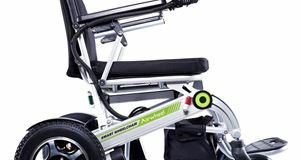 As the name suggests it sends power to each of its four wheels, giving it the capability to climb and descend 25 degree stairs, while the built-in gyroscopes automatically tilt the seat to ensure you stay level. It can manage 12.4 miles of off-roading or 18.6 miles on a flat surface while front and rear LED lights will help to keep you safe and visible on the road.